Bathroom remodel ranks as one of the most popular remodeling trends. Being a critical aspect, bathroom remodeling deserves to be treated with the idealism. For every homeowner, gaining insights on the best tips is the way to go. 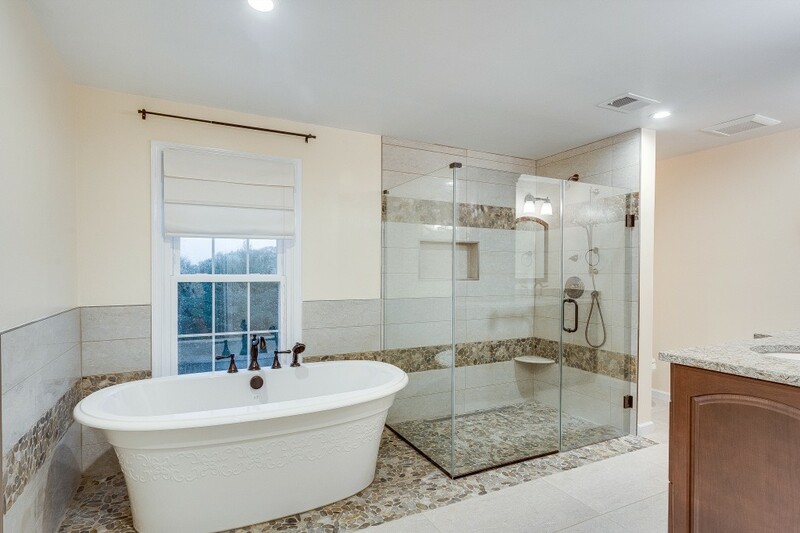 What are some of essential aspects that can make or break your bathroom remodel project? Many of us might have been brought up to imagine that bathrooms are those small dimly lit rooms. The modern bathroom is more than a washing space, so it deserves better lighting. Focus on the ceiling lighting to give your room a brighter look. You can also have two lights in the shower. Efficient bathroom lighting makes it easier to carry out routine procedures like shaving and application of makeup. Invest wisely in lighting; you will love it. Bathtub or shower only option? When renovating your bathroom, you need to have an idea of what works best for you. The modern bathroom gives provision for bathtub; don’t be too hard on yourself when remodeling your bathroom. If shower only turns out to be your preference, ensure you invest in the best ones. Consulting with your design experts is a key aspect when it comes to choosing the best shower designs for your master en-suite bathroom. Even more, you should be picky when it comes to shower bases. Do not settle for the traditional prefabricated shower bases. You have so much to choose from including shower systems with porcelain and acrylic bases. You wouldn’t want to mess up when it comes to the choice of shower flooring; trust me on that. Large tiles tend to have sloping difficulties and therefore not preferable for shower flooring. Even more, they are more likely to be slipperier. Where possible, prioritize smaller tiles because they have better traction. If perfected, this can turn to be an ideal feature for the shower. As opposed to traditional designs, the bathroom window should be spacious enough to allow natural light. As usual, opt for frosted glass, which allows better privacy. You should be careful enough to ensure the window area is watertight. You can achieve this the easier way by using stone jambs. Tilt and turn windows are the best for bathrooms because they admit privacy whether or not the windows are open. Even more, think of having plastic handles for the windows. That way, you wouldn’t have to worry about rusting. The popularity of wall-hung toilets is fast rising. You do not want to be left out, trust me. As opposed to their initial prices, wall-hung toilets are now more affordable. One aspect that makes this design preferable is the simple fact that it is space conscious. Your bathroom deserves the best look. When you finally make that life-changing decision of transforming the look of your bathroom, do it the best way by embracing these tips. At EA Home Design, you can always count on us not to do the perfect job!